As a kid, I've played a lot of NES. In my country, unlicensed games and famiclones were pretty frequent (boosted by the market reserve strategy to produce every component in-house), and games with generic names like Puzzle or F-15 Civil War got distributed bundled with those clones, and cartidges had labels like "Puzzle Game" or "JET game". However, there is this "Tank" unregistered game, that is neither Iron Tank nor Battle City and uses some sprites of both. The same word is printed on the cartidge label(that is minimalistic and with no artwork - below) and shows at the opening screen. How can I find a game that is probably a bootleg and has such generic name that composes part of names of other registered NES games? Searching for "unlicensed" "tank" "pirate" "bootleg" show no relevant results, or results that are only related to other licensed games, and it's modifications. Brazil's Video Game Gray market. Documentary about how bootlegs spread in Brazil and how some videogames manufactured inside the contry were legal, and some illegal. Disclaimer: My first(closed) question about this subject was closed in May 2015 and there was none of the information below on the internet, meaning that maybe you will have to persevere and also give some time between your searches. The main method I've used to find this game was, of course, affected by an immense luck: reading NES news and waiting for information about this unlicensed game to reach the internet. Searching for "unlicensed", "pirate" and "tank" got me nowhere in my hunt for this game. I would be happy by just finding some of the game screens and its music you know, to feel the nostalgia even if I didn't find the ROM. 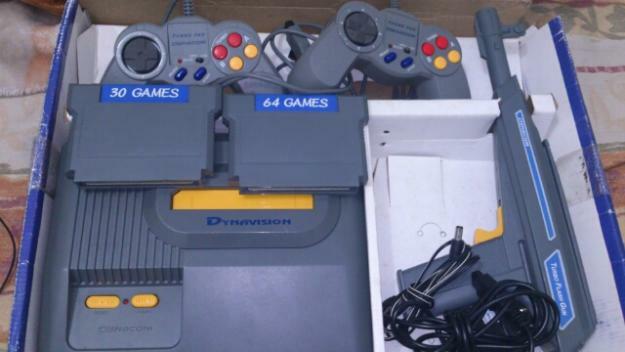 I had almost given up on searching this game, but this "new wave" of unreleased Nintendo stuff we are facing today(Playstation Snes, Star Fox 2, Sim City for Nes) uncovered a Caltron 9 in 1 cartridge with unlicensed games that were never released, and it was on auction on Ebay. As soon as I looked at the home screen and got the "Tank" at the list of games, I've searched for "Tank Caltron" on Google, that sent me to this video(as you can see, I'm the only one that commented on that footage). The only indexed game with Caltron publisher at NESGuide was the old 6 in 1 cartridge (that doesn't have Tank). Game publishers have aliases. NTDEC for example, had 4 of them. Sometimes, unlicensed games are called "bootlegs" but they aren't a modified version of an existing game but a mesh-up of sprites and sounds from other games. 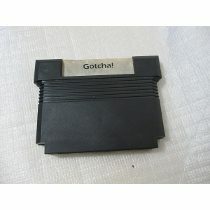 Search for those "X in 1" cartridges that comes with clones(Famiclones in this case). They could be holding the game you are looking for, giving additional assets. Also, try to search online for Famiclone bundles info if you owned one that has the cartridge you want. Mine unfortunately was a Milmar Top System(brazilian online store) bundled with F-15 Civil War on its package. None of the other bundle options of Top System had "Tank". The game I was looking for was part of another clone bundle that I couldn't remember, which a friend of mine owned but he sold me the cartridge only. Keep tracking for words like "Nes Cartridge Ebay/auction/bid" at the news section of search engines. Use online image search if you know the cartidge uses some weird case like the one on the question(instead of those pretty common yellow nes 60-pin unlicensed cartidges, or de default gray 72-pin nes cartidge for example). Maybe you can find someone selling the game or a blogpost about it where you can ask things. Have the physical cartridge and put it to play (be carefull with old cartridges and old videogames being turned on). It may sound obvious but the cartridge I had with that game got lost during city change at my childhood, making this quest way more difficult. FCPic(japanese). This one is awesome cause it compares some games with its bootleg versions, for example, Duck Hunt versions. FC Game Land. This guy has some passion about this kind of games. cah4e3 cartbase. This other guy is doing an awesome job of indexing bootleg/pirated games and it's covers.